How to reserve executive transportation for business travel in the Gainesville area. Professionalism is an essential in business. We strive to provide professional and posh town cars and limos for all your business travel and executive needs. Our punctual, personal chauffeurs handle all aspects of transport, so that you can focus on meeting the needs of your company while traveling on business. Our easy payment process makes corporate invoicing and reimbursement simple and hassle-free. 1. Excellence each time. Our drivers are professionally trained and Florida State licensed. They are knowledgeable about the Gainesville area and stay up-to-date on construction, road blocks and traffic. We want you to arrive on time and ready to work. Our drivers adhere to strict standards designed to create a great experience. 2. We value your time. When traveling on business, punctuality is paramount. Our drivers are ready on-time or early, so that you can make meetings, catch flights and be prepared for your business trip. With car rentals, you have to worry about navigating a city you are not familiar with and lose valuable preparation time. Let our drivers take care of transport around Gainesville, while you look over notes, make phone calls or simply relax. 3. Look the part. If you are meeting clients or partners, arriving by limo or luxury town car is a great way to put your best foot forward. 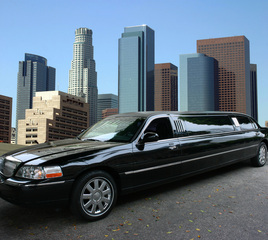 Let our luxury line of amazing limos and town cars help you arrive in style. 1. Fill out the handy form on this page. Please include your name, contact info and the number of hours you will need our services. 2. We will be in touch very soon with information regarding availability and pricing. We can also answer any questions you have regarding corporate billing, type of vehicle and airport pickups.